Are risk managers too scared to take risks? Many risk managers are reluctant to have a conversation with executives about the need to better integrate into decision making and the need to talk and think about risks systematically every day. Changing the methodology, reporting format and tools? Forget about it. Even just talking and asking for a great role in decision making gives them… Continue reading Are risk managers too scared to take risks? Alex Sidorenko from RISK-ACADEMY talks about measuring risk management maturity in non-financial companies. 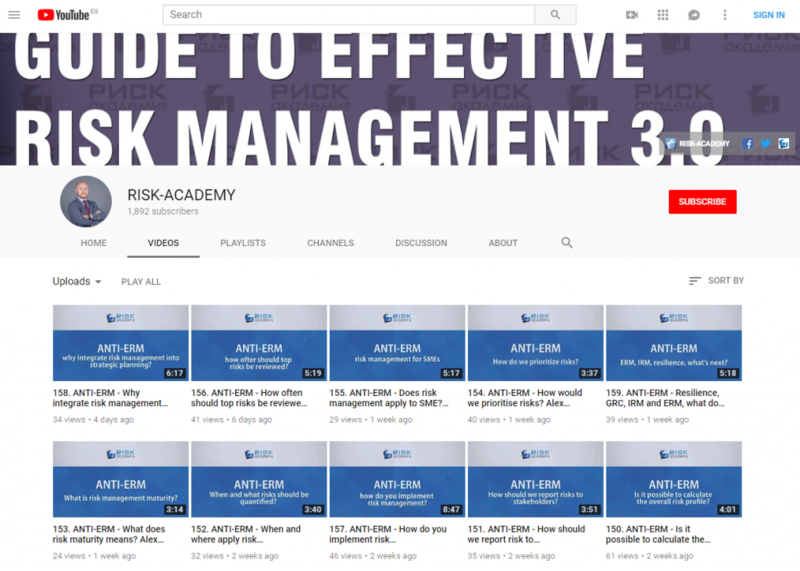 At RISK-ACADEMY we have compiled free videos of lectures, seminars and interviews with Russian risk managers, as well as free templates and examples of the tools required for the implementation of elements of risk management in the organization of small and… Continue reading How to assess risk management maturity?